About Hana S. Message Hana S.
Hannah was really great from the start of my tour. The tour began in a local coffee shop where Hannah carefully explained the itinerary of the tour. She unfolded a map of Seoul and pointed out each location that we were going to visit. As we moved along each site, Hannah talked about the history of each location and answered all the questions I had with superb knowledge. Hannah has a great personality and is really fun to talk with. I highly recommend her for touring South Korea. Thank you Hannah! TOUR GUIDE RESPONSE: Thank you Luis! You are the amazing traveler! I truely enjoyed the tour with you and hope to see you again someday too. :) Take care! Hana was a delight to be with, she was patient, informative and really good with suggestions re sort of shopping Wendy was interested in. She managed to find all the good options. I would highly recommend having her as your guide. TOUR GUIDE RESPONSE: Thank you Mr.Boon. It was great pleasure to have you and Wendy. I loved hearing the history from you and enjoyed shopping as well! I hope you can take another great vacation soon. Far and away the best guide I have ever come across. Polite, friendly and very knowledgeable. Her food knowledge of Seoul is outstanding! Very patient and made the day fly by! TOUR GUIDE RESPONSE: Thanks for your passionate feedback! I was really happy to show you all around Seoul includes the hidden spots and enjoyed small talks with all gentlemen. I hope you have got great memories only from Korea. Hope to see you again when you come back with your family. And please do not hesitate to ask if you have any questions about traveling Korea! Hanging out with Hana for the day was honestly like meeting up with an old friend...she was SO friendly & used the short time my sister and I had for our layover tour (~6 hrs) to the fullest packing in a couple meals, the Palace, and walking through a traditional neighborhood and a couple markets without ever feeling rushed. She provided lots of info @ Seoul during our drives to/from the airport & was fun and funny. We could not have asked for a better way to spend our layover! Hana is highly recommended! TOUR GUIDE RESPONSE: Thank you, Amber! It was so much fun with you and Misty. I wish we had more time to share more jokes and more memories though. I hope you are having great time with your kids, cat and clean air. Also hope they are all healthy by now. Thanks again for the great feedback. We were on a 60 day "Circle the No. Pacific" cruise and took a number of private tours. This was the best. Hana (Heejin) is very pleasant, speaks excellent english, and told us about Korean history & culture as we toured. We were interested in local culture and did not want to waste time shopping or visit another fish market and wanted visit a local temple. We had 10 people on the tour and had a fairly comfortable large van and driver. She planned nicely, good pace and yet a full and educational tour. Hanna is a fantastic guide, I highly recomend that you book her for your tour of Seoul! 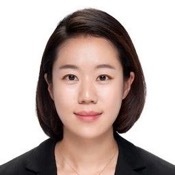 Hana (Heejin) is an amazing tour guide with a friendly nature and indepth knowledge of the Korean history, culture and political standing. She even managed to keep our two small children (6yrs & 8yrs) captivated in the North / South divide and ramifications. 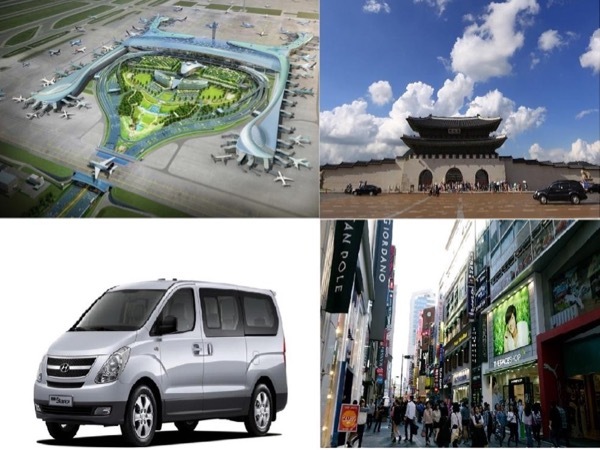 I highly recomend Hana as a guide for the DMZ tour and also the city tour of Seoul which we did the following day. We got to see so much over a short time and with zero stress. Hana is a real asset to Tours By Locals.